Amazon introduced new tablet named Amazon Kindle voyage to help e readers in reading e books available in e book market. This tablet contains so many features to assist e reader in all ways. The thinnest kindle till today is Amazon Kindle voyage because the thickness is about 0.3 inches and its weight is 6.4 ounces so tablet seems light to carry in hand. The slimmer frame presents looks like paper white display that gives better brightness and contrast for easy reading. This device comes with new feature in front display called light sensor which can sense the surrounding environment and adjust the display brightness. Light sensor adjusts by sensing the user’s eye over each time period. The brightness of display will be lowered accordingly to help reader in all lighting conditions. Kindle voyage differs from all tablet in the way of turning pages in e book, the user do not need to tab the display they can just turn pages by giving light press. Kindle voyage have free connectivity to internet facility using 3G network, the user need not to search for wifi spots to download books. This tablet contains twice amount of storage space than its predecessor and it has additional features like faster processor, and updated touch screen display. X ray is a new feature available in this tablet which helps readers to look for their e books in various sections. Kindle also have games therefore the readers do not have to go anywhere else for relaxation. Two hidden games are present in Amazon Kindle namely GoMoku and Minesweeper. To play GoMoku user just need to press G key and to play Minesweeper player needs to press Alt+Shift+M. Kindle comes with speakers to listen audio books and headphone jack thus it helps readers in hearing audio books and use text to speech facility. Kindle supports images in various formats say JPEG, PNG, and GIF. User can place images in separate folder and view images. By pressing ALT+Shift+G screenshot can be taken in kindle screen but the shift key should be facing up arrow in keyboard. The screen will flash and after that the screenshot will be saved in documents folder in GIF format. Camera in Kindle can be used as webcam for apps like Skype. Kindle fire automatically updates list of favorite feeds in blogs. To get this feature user should download RSS reader and set up account. 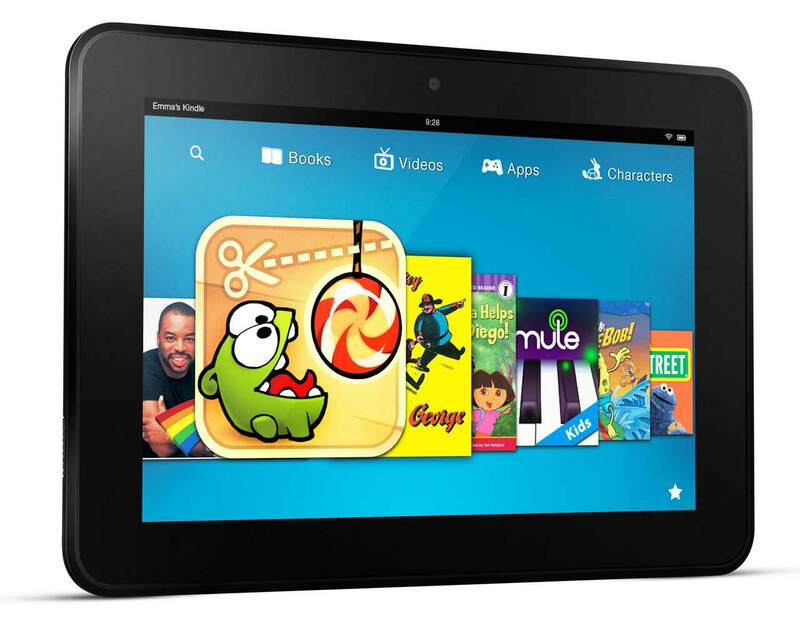 Fire seems cheaper than Fire HD tablet but both have special offers and available in latest version. The screen of fire is thinner than HD mobile so HD looks old fashioned and clunky. In Fire HD speakers present in landscape mode thus it suits better to watch videos. In both tablets user can use cloud storage to store more number of contents but it seems to delete apps to save tablet from running out of space.